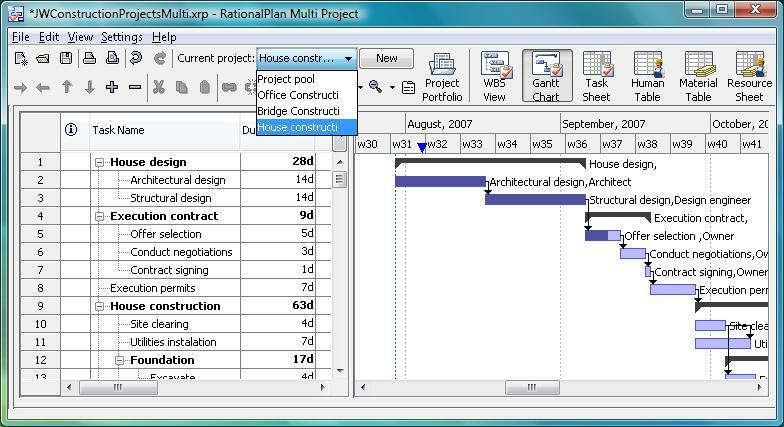 RationalPlan Multi Project for Linux By Stand By Soft is a great alternative to Microsoft Project with some extra-features like multiproject management. The application is covering project management area from WBS construction, project planning and scheduling to critical path management, overallocated resources detection, progress tracking, cost estimation, etc. Gantt chart support as well as various time line reports are also provided. Qweas is providing links to RationalPlan Multi Project for Linux 3.26.3 as a courtesy, and makes no representations regarding RationalPlan Multi Project for Linux or any other applications or any information related thereto. Any questions, complaints or claims regarding this application RationalPlan Multi Project for Linux 3.26.3 must be directed to the appropriate software vendor. You may click the publisher link of RationalPlan Multi Project for Linux on the top of this page to get more details about the vendor.